Qualifying is a key to a good result on Florida’s seaside street circuit. (Poughkeepsie, NY, 24th March 2015) Bentley Team Dyson Racing is looking forward to this weekend’s Grand Prix of St. Petersburg. 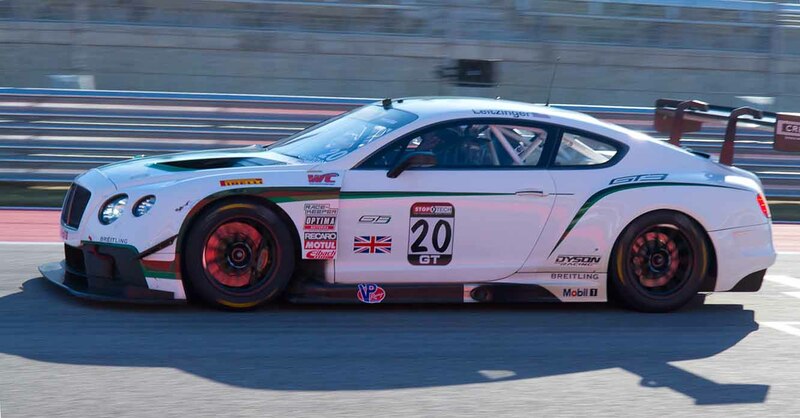 Drivers Butch Leitzinger and Chris Dyson hope to post competitive performances with their Bentley Continental GT3 race cars in Rounds 3 and 4 of the Pirelli World Challenge. A critical first step is qualifying at or near the front of the field. Starting position is always of great importance in a sprint race, but according to team-owner Rob Dyson, qualifying will be particularly important at this “Monaco-on-the-Gulf-Coast” temporary street circuit, where spectators are treated to spectacular views, but drivers have relatively few opportunities to pass. “If you’re not starting in the first two or three rows, you’re going to have a hard race” Dyson said. “It’s not just that it’s hard to pass – though St. Pete is one of the better street circuits in that regard – but there are a lot more on-track incidents on street circuits and you don’t want to get caught up in somebody else’s crash.” Dyson further noted that one of the Continental GT3’s strengths in a race — that it is easy on tires and fastest in the closing laps is a challenge in the short runs between pit-stops to make chassis tweaks. “For both qualifying and the races we will be going with setups that both give mechanical grip and generate tire temperatures as quickly as possible,” said Peter Weston, Bentley Team Dyson Racing’s director of engineering. Weston pointed out that different paving materials in different sections of the course complicate the task of setting up the car and also noted the polished nature of asphalt that is run on by road cars 362 days each year makes for a low-grip racing surface compared with permanent road circuits. These factors, along with the unforgiving concrete barriers that define the circuit’s perimeter, increase the likelihood of full-course yellows that both eat up precious green-flag race laps and cause tires to cool down.